Everybody who applies to become a Police Constable must sit and pass the PIRT. The test itself consists of a number of important elements including a numerical test, a verbal reasoning test and two report writing exercises. This new and exclusive 23-minute duration DVD will show you EXACTLY how to pass the PIRT including 8 written report sample test questions. During the assessment centre stage of the Police Officer selection process you will be required to undertake a series of assessments including a report writing exercise. It is essential that you create a written report that is concise, free from errors and that solves the problem that is presented to you. In order to help you pass the Police Written Test we have created an informative DVD that will teach you how to construct a highly concise written report. Remember that you only have 20 minutes in which to create your report. Therefore, you do not want to spend too long reading the information. I would suggest that you spend 2-3 minutes maximum reading the information. When you read the information provided in the exercise you will notice that some of the information is of no significance. Write down which information is relevant in brief details only – these should be your main findings. One of the police officer core competencies is that of problem solving. If asked to, then you must come up with suitable recommendations. Do not ‘sit on the fence’, but rather provide a logical solution to the problem. You are being assessed on your ability to communicate effectively. Therefore you must construct your report in a logical and concise manner. You must also ensure that you answer the question. During each report that you construct I strongly advise that you include keywords and phrases from the core competencies. You will notice that the 5 step approach is easy to follow. Therefore we strongly suggest that you learn it and use it during the practise exercises provided later on in this section. If you want to learn how to implement the 5-step approach during the Police Initial Recruitment test and written report then obtain a copy of our Police Written Test DVD pack. A comprehensive numerical and verbal reasoning workbook. Timed practice verbal reasoning tests. This comprehensive and professional DVD and the accompanying tests will provide you with lots of sample test questions to help you during your preparation. Crucial insider tips on how to easily pass the police officer written tests. A comprehensive police officer math tests workbook. 250 math tests that are very similar to the actual tests. Advice on how to pass the Police Initial Recruitment Test. 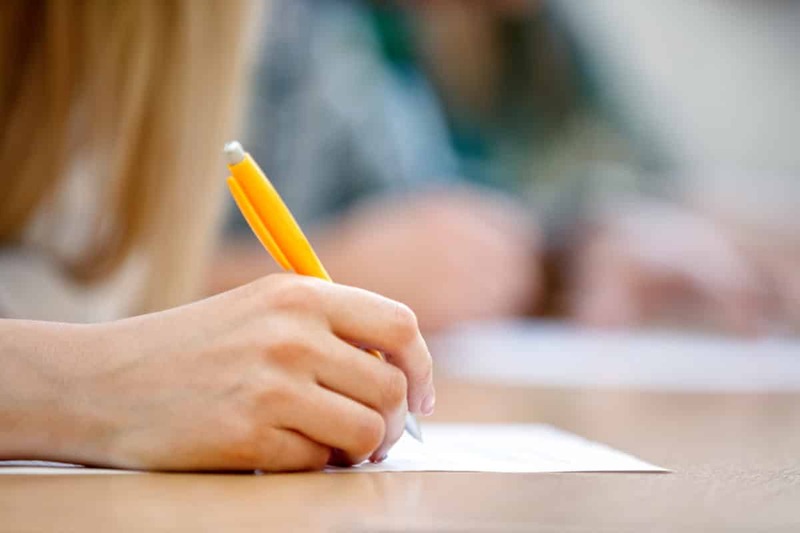 A comprehensive step-by-step guide on how to pass the written report writing assessment. Lots of verbal reasoning test questions which are very similar to the ACTUAL tests used. Avoiding the common problems and pitfalls. Explanations of timed tests and explanations to all questions. Explanation of the common traps the test writers set. Hints and tips for improving performance. A comprehensive numerical and verbal reasoning workbook! Police Tests workbook containing plenty of test questions and report police officer report writing tests.